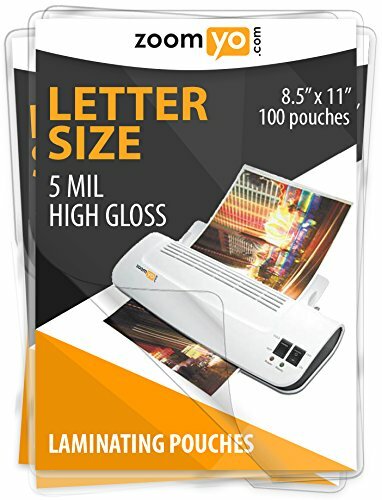 Home › Zoomyo Laminating Sheets Letter Size 8.5" X 11" 5 Mil High Gloss - 100 Sheets..
Zoomyo Laminating Sheets Letter Size 8.5" X 11" 5 Mil High Gloss - 100 Sheets..
Zoomyo laminating sheets are the perfect choice for long-term protection of your documents prints photographs and many more At home, in the office or at school - Zoomyo laminating sheets are the wayto laminate. The sheets are water and stain resistant and protect yourdocuments from scratches and cracks. Zoomyo laminating sheets stand forhigh quality, lasting colours and professional results. They are compatiblewith laminators of any brands.